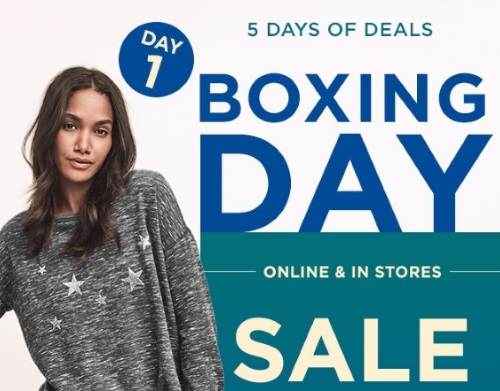 Gap has 5 Days of Deals for their Boxing Day Sale! There will be a new deal everyday throughout the duration of the promotion! Offer is valid in-store and online today only, Monday, December 26, 2016.